Robert De Niro is opening up publicly about his late father's struggles with his sexual orientation. In a new article for Out magazine titled "Robert De Niro: Me and My Gay Dad," the 70-year-old Oscar-winning actor says his famous painter father was conflicted over his homosexuality. "I wish we had spoken about it much more. My mother didn't want to talk about things in general, and you're not interested when you're a certain age," De Niro told the magazine. De Niro's parents, who were both New York artists, divorced when he was a toddler and he was raised mostly by his mother in Manhattan. De Niro's father, an abstract expressionist painter, struggled in the 1960s with the rise of more modern artists like Andy Warhol, and at one point found himself homeless on the streets of Paris. The "Grudge Match" star and Tribeca Film Festival co-founder serves as the narrator of the new documentary, "Remembering the Artist: Robert De Niro Sr.," which attempts to shine a new light on the painter's work. In the film, De Niro reads journal entries written by his late dad, who died from cancer in 1993 at 71. In some of the passages, De Niro Sr. describes being gay as a sort of "affliction." The actor says his father's views came from the time he was raised in and his upbringing in a small town in upstate New York. Although De Niro Sr. lived openly as a gay man in his later years, the actor says it's time to share the full story of his father's life with a wider audience. "That's the whole point --- the truth," De Niro explained, "That's what people are attracted to. I should have done this 10 years earlier, but I'm glad I did it now." 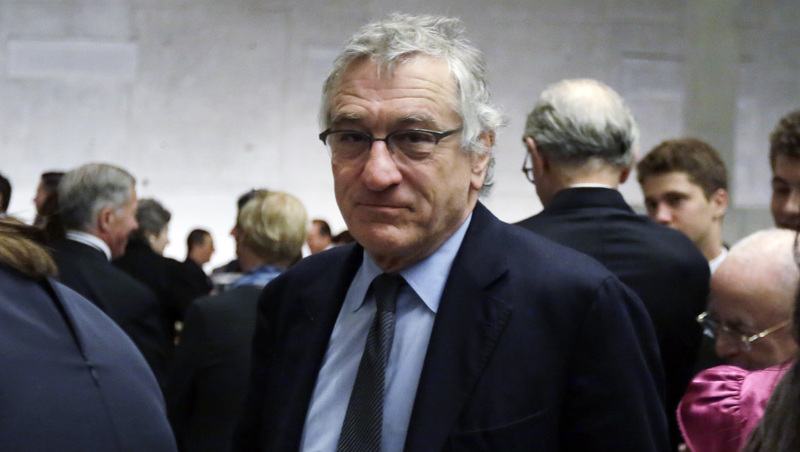 De Niro also says the documentary will help his six children learn more about the artistry of their grandfather, whose legacy has been sometimes overshadowed by the career of his famous movie star son. "Remembering the Artist: Robert De Niro Sr." will premiere Monday, June 9 at 9 p.m. ET on HBO.